Indiana Jones plays no role in the outcome of the story. If he weren't in the film it would turn out exactly the same. If he weren't in the movie the Nazis would have still found the Ark, taken it to the island, opened it up and all died... just like they did. Well, the Ark ending up in the warehouse (probably) wouldn't have happened without Indy, but aside from that, would Belloq and the Nazis have met the same fate even without Indy's meddling? Is Amy's assertion correct, did Indiana Jones play no role in the outcome of the story? I don't remember where I heard this but there's a scene that's not in the movie. The second side of the head piece contains more info than just the 'correct' staff length. Also written on the back side are instructions not to look into the Ark...this is how Indy knows to 'KEEP YOUR EYES SHUT' when the Ark is opened. Indy learns this when he and Sallah have the head piece translated...don't know why this was left out of the movie...bad dates, maybe. Anyway, without Indy, either a) they never find the ark because they don't get the head piece without him, or b) they obtain the ark with the complete head piece but aren't killed by it because they have the instructions not to look at it. I too was asking myself this question, and had to go back and watch the movie over again. Here's how I see the movie turning out without Indiana Jones' presence. Regardless of whether Indiana led the Nazi's to Marion, they would have found her anyways. They already knew that Abner Ravenwood had the amulet, like the U.S. Army Intelligence officers told Indiana at the beginning of the movie. Marion is Abner's daughter, so it's only logical that they would have gone to see her eventually. During the scene at Marion's bar, the Gestapo interrogator, Major Toht, would have tortured and most likely killed Marion, and would have obtained the amulet. Since the fight between Indiana and the bad guys would not have happened, her bar would not have caught fire. That combined with the Nazis already having the amulet, Major Toht wouldn't have gotten burned by the amulet (which is how the Nazis only got one side of the amulet), and thus would have looked in the right place. The Nazis would have gone on to open the Ark just as they did and every one would have died, just like Amy says. Finally, the Ark would have been left at the site where they opened it for someone else to discover, so who knows what would have happened after that. You could say Hitler would have sent more Nazis to investigate, or maybe the U.S. would have found it and suffered the same fate. The one major thing here is that if you at any point remove Indiana from the story, the Nazis would have killed and/or tortured Marion. So, for that, Indiana Jones is still a hero! 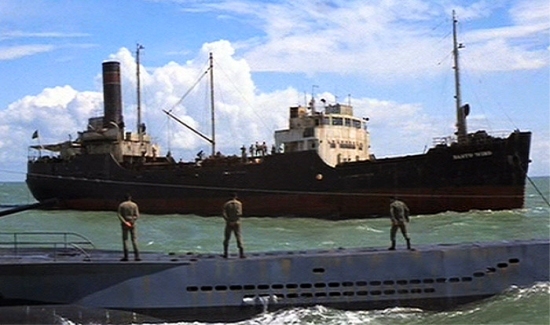 As for how Indiana Jones got the Ark off of the island, the answer isn't really revealed in the movie, but the most logical conclusion I have is that he stole the submarine that the Nazis used to travel to the island. Note: I don't remember where I saw it (might have been in TBBT), but there was a comment that without Indiana Jones, the Ark would have been opened in front of Hitler. That's not true, because when they get to the island, Belloq gives a speach about making sure that it was "the one true Ark" before handing it over to Hitler (for fear of what Hitler would do to them if it wasn't). So, he would have opened it before it got to Hitler anyways. 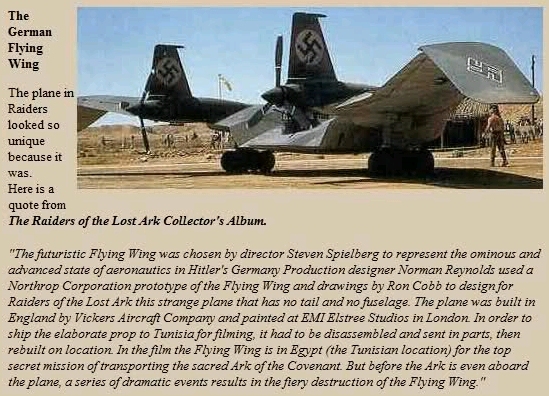 Indy's plan was to "hijack" the plane, but the attempt failed and resulted in the destruction of the plane. This prompted the Nazis to change their plan. They loaded the Ark onto a truck so they could drive it to Cairo and fly it out from there. Indy managed to take over the truck and thus the Ark ended up on the Bantu Wind instead. Without Indy's interference the Ark would have never been transported to island, because the original plan was to simply fly it to Germany. Here's something funny to think about...the very beginning of Raiders. 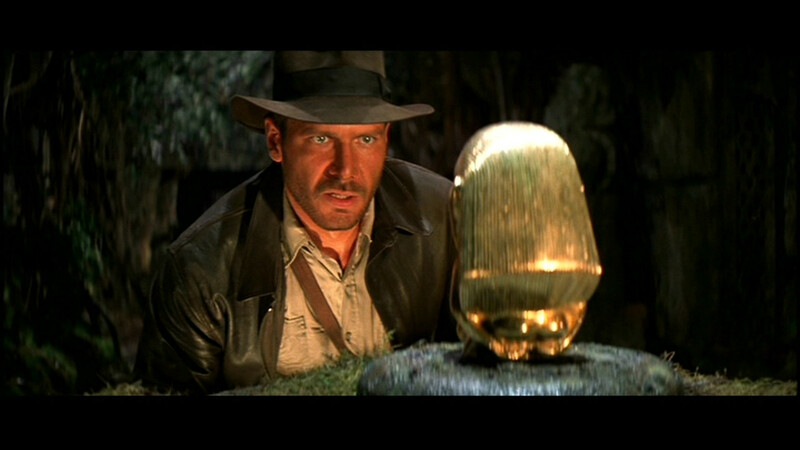 When Indy hunts down the golden Idol within the cave of just about every obstacle imaginable. Belloq is fresh on his heels which leads me to believe that if Indy never got to the Idol first, navigating the treacherous landscape, then Belloq and his spear wielding minions would have tried to navigate the cave, thus might have certainly ended Rene's life. Or held him captive for the rest of his days. So yes, Indy is intensely important, if he never got the idol, then Rene might have never made it to any of the adventure. And perhaps..the Arc would have never been found at all. An alternative interpretation of your question "Is Amy's assertion correct, did Indiana Jones play no role in the outcome of the story? Answer: It really depends on what you refer to as the "story". If what you call as the story is "the ultimate fate of the ark", then one can make an argument one way or another. However, if the true story of the movie is "the ultimate fate of the protagonist" (i.e. indiana jones), then his presence is not only essential, it is the movie! All other inquiries about his relevance to the "fate of the ark" are moot point. In my honest opinion, the true story is that of the character (i.e. Indiana Jones), not the fate of the device (i.e. the ark). Therefore, from this perspective, Amy is wrong. The main question to answer this question is: Did Indy lead Belloq to Marion? If he did, then Belloq would never have found the headpiece of the staff and thus the rest would not have transpired, thus Indy was quintessential to them finding the Arc. Indy did inadvertently lead Belloq and Dietrich there. Belloq knew Indy would know where to find the headpiece to the staff. 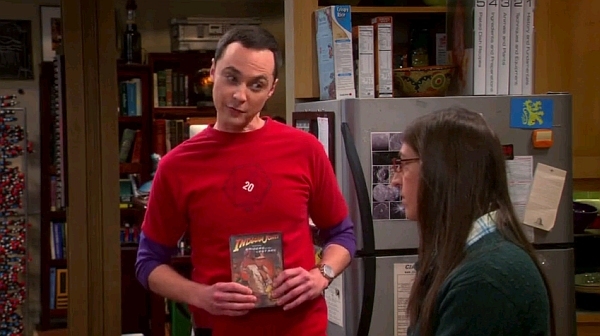 Because of this, Amy Farah Fowler was wrong to play with Sheldon's head like this ... but it did make for a good story line! The real thing to note here is not that Indiana Jones was pointless but rather that he risked life, limb and even career to be the hero when he was not required. If that does not prove how heroic and awesome he was in the movie nothing does. Also, without Indy than Marion would die in all possible outcomes. Without Indiana Jones, Marion would have perished. He told her not to look. As with Lots wife at Sodom and Gamorah, she would have looked. I'll bet this was one of Steven Spielburg's additions to the script. Not the answer you're looking for? Browse other questions tagged analysis the-big-bang-theory indiana-jones raiders-of-the-lost-ark .